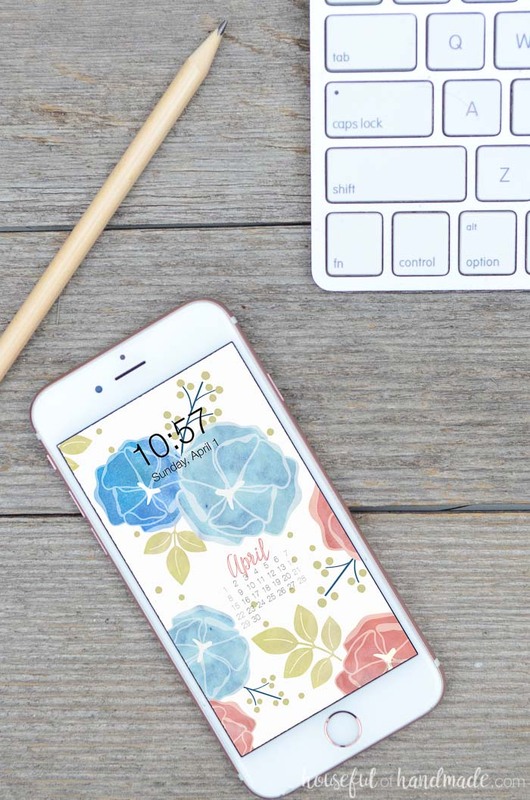 Get ready for gardening season by decorating your screens with spring florals. These free digital backgrounds for April are the perfect way to enjoy spring no matter where you are. Another month has come and gone! Time is flying, but the good news is that spring is finally here. This last week we had multiple days of sunshine and warmer weather. I am sure that means spring! And with spring, is lots of flowers and gardening. 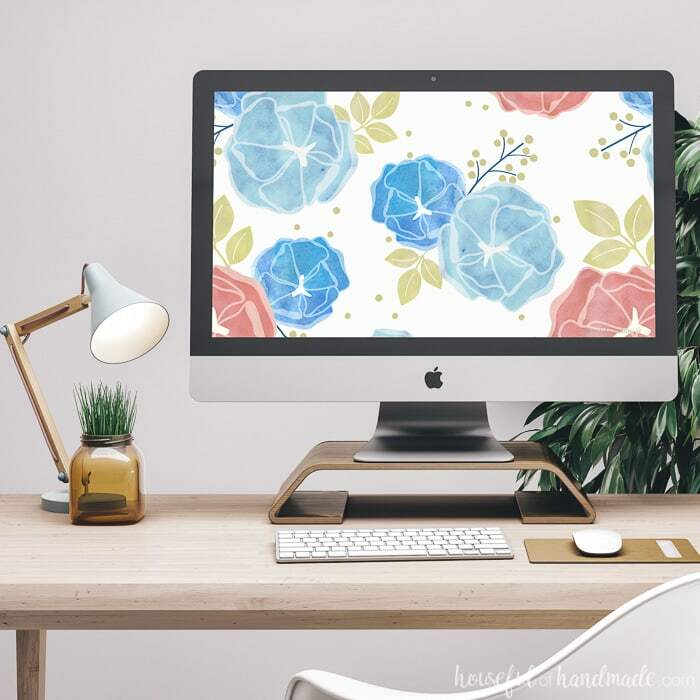 So of course the free digital backgrounds for April are all bright fun florals! This month we are going to be HELLA busy. The kitchen remodel officially begins on Wednesday and I cannot wait to swing that hammer. I have been working hard all week getting ready though. Before the walls come down, I promised my husband I would have all the new cabinets built. And I am happy to report that cabinet boxes are all built, face-frames are happening on Monday. Now bring on the demo. 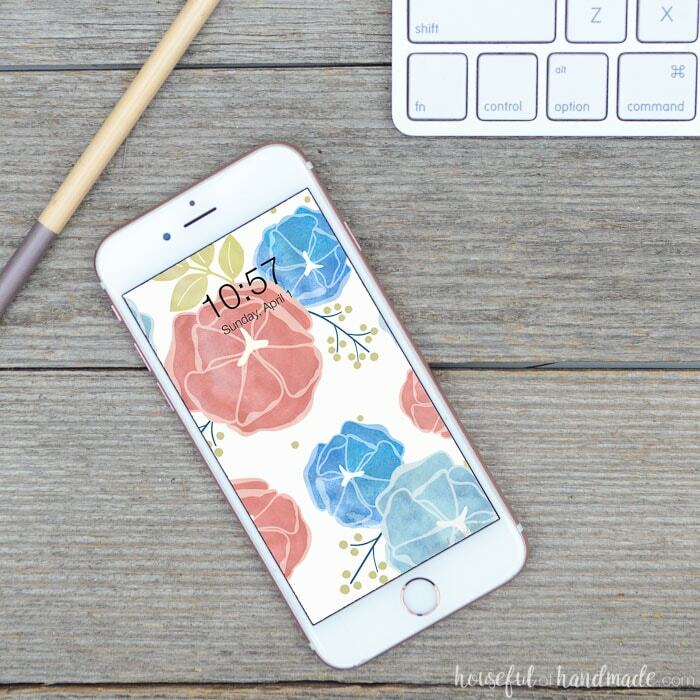 Since our house is going to be all kinds of crazy, I definitely need something clean and pretty on my iPhone and computer. I decided to go with a fun digital wallpaper with a bright background. Hopefully it will bring me some sanity while the rest of our home is total chaos. Even if you are not doing a crazy kitchen remodel this month, you are still going to love the free digital backgrounds for April. The calendar option is great for keeping you organized. I absolutely love having a pretty calendar on my smartphone home screen so I can check on dates without having to unlock. Super helpful! 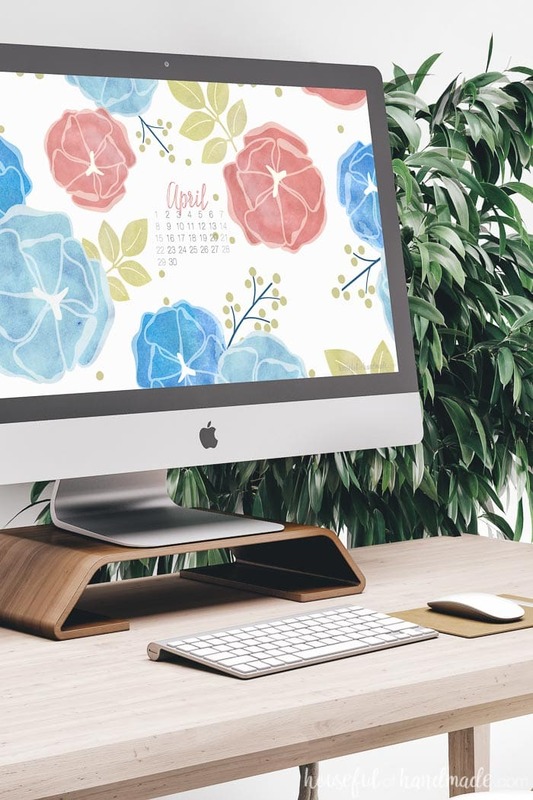 If you are ready to download the free digital backgrounds for April, click on the link (or links) below for the digital wallpaper you want. And stay tuned for lots of budget kitchen remodel ideas and DIYs!